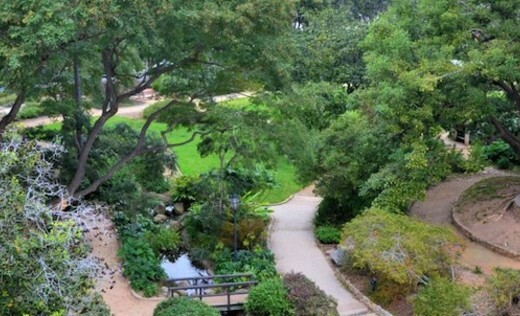 Alice Keck Park Memorial Garden is located on the site that was once the elegant El Mirasol Hotel--the downtown Santa Barbara block often referred to as the "crown jewel" of city parks. In 1975, Alice Keck Park acquired the site and donated it anonymously to the City of Santa Barbara with the stipulation that it be designated as a park in perpetuity. The park was formally dedicated to the people of Santa Barbara on May 13, 1980. It features a large botanical collection of 75 different tree and plant species, a koi pond, a sensory garden with audio posts and interpretive Braille signs, a low water-use demonstration garden, picnic areas, and a gazebo. 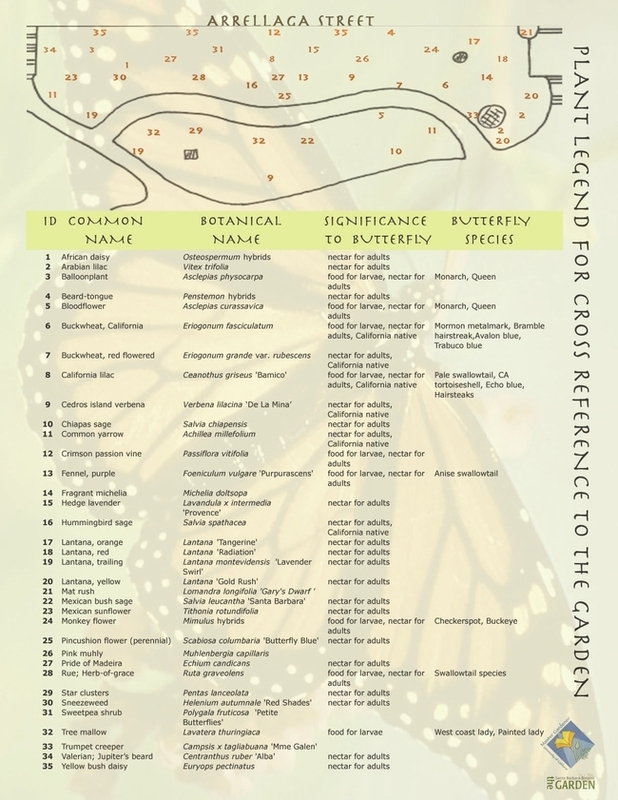 The vision of a Butterfly Garden at Alice Keck Park Memorial Garden began in 2005 by a team of UCCE Master Gardeners, including Bob Ledbetter, Helen Fowler, Donna Grubisic, and Lynn Kirby, in collaboration with the staff of the Santa Barbara Botanic Garden. Working with Santos Escobar, Director of Santa Barbara City Parks and Recreation, they obtained the necessary approvals for the project and identified a suitable plot within the site. Landscape Architect Grant Castleberg helped them develop a garden design that incorporates nectar plants for butterflies and food plants for caterpillars. UC Master Gardeners Program provide volunteer service to the Santa Barbara community by not only maintaining the beautiful Butterfly Garden, but also educating visitors about how to select and care for plants that will attract butterflies and other beneficial pollinators to their own gardens. Please feel free to stop and ask us questions anytime. Our workdays in the garden are the second and fourth Tuesday of each month from 9:00-11:00 am.